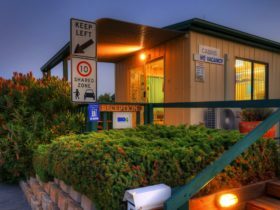 Bicheno East Coast Caravan Park is located on Tasmania’s stunning East Coast in central Bicheno. 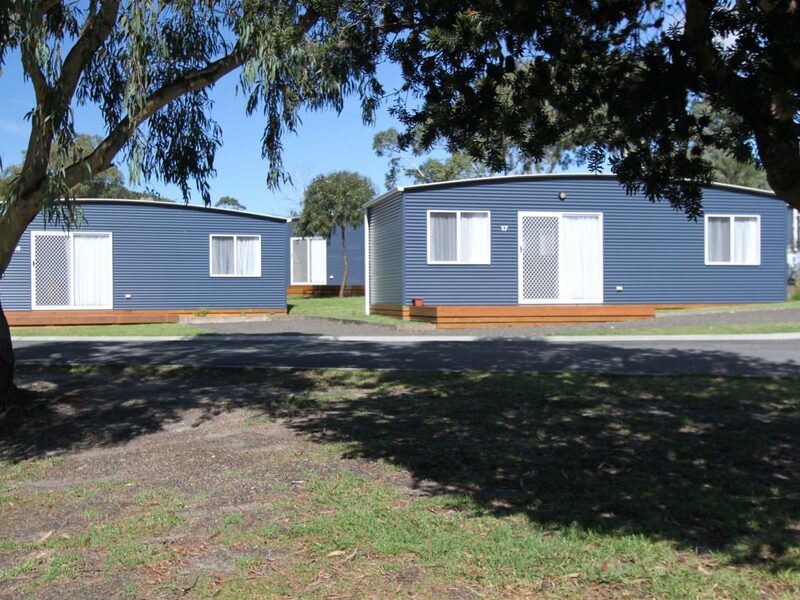 There are one and two bedroom self-contained cabins and apartments available at the park. 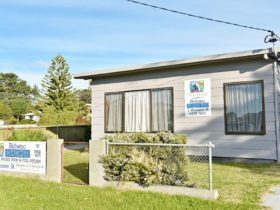 This accommodation includes private bathrooms, cooking facilities with microwave oven, fridge, cook-top, television, heaters, linen and blankets. Studio apartments can accommodate up to four guests and the other apartments can sleep up to six. Cabins are well suited to four or five occupants. Powered and unpowered sites are also available. The park has two amenities blocks , laundry, playground, dump site, camp kitchen, recreation room and undercover barbecue area. Free Wi-Fi is available. You will be just a short walk from pristine beaches, local restaurants, cafes, and galleries. You can dive with the local dive centre, swim, surf or even charter a boat for some excellent coastal fishing or visit local wineries. In the evening take a penguin tour where you can watch the fairy penguins come ashore to nest on the beach. 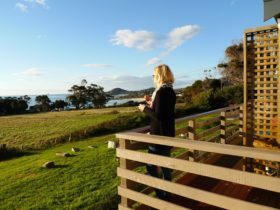 From Bicheno you can explore national parks including nearby Douglas Apsley National Park and Freycinet National Park where you will find magnificent Wineglass Bay. 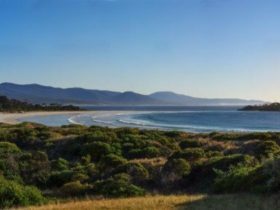 The coastal town is just over a two-hour drive from Launceston (174 kilometres). Typically a Studio Apartment has bed/s, cooking facilities and its own bathing and toilet facilities. The bed or beds are normally within the lounge/living room. 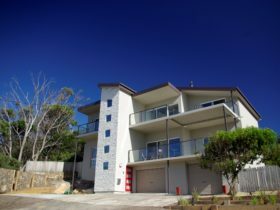 Typically an Apartment has one or more bedrooms, a separate living area, cooking facilities and its own bathing and toilet facilities, all accessed from within the apartment. Typically a Camp Site is a site, without power connection, where people on holiday can pitch a tent. Typically a Park Cabin is a semi-portable dwelling situated within Caravan/Cabin Park. It includes full cooking facilities and private shower/toilet. Typically a Serviced Site is a site where power is supplied for caravan/campervan users. They have unpowered and powered sites. 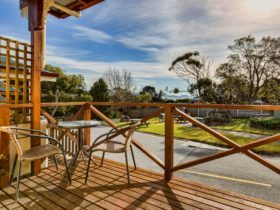 They have one and two bedroom self-contained cabins and a two bedroom self-contained cottage.